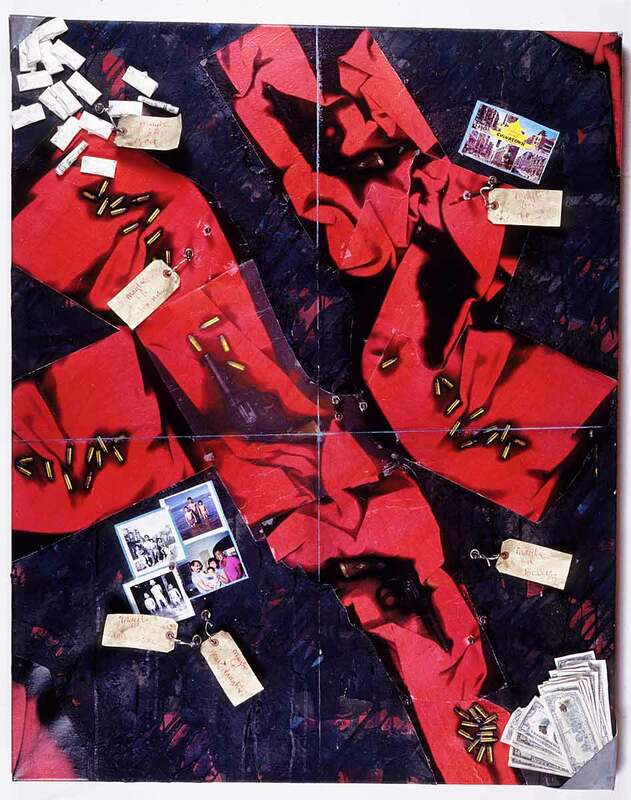 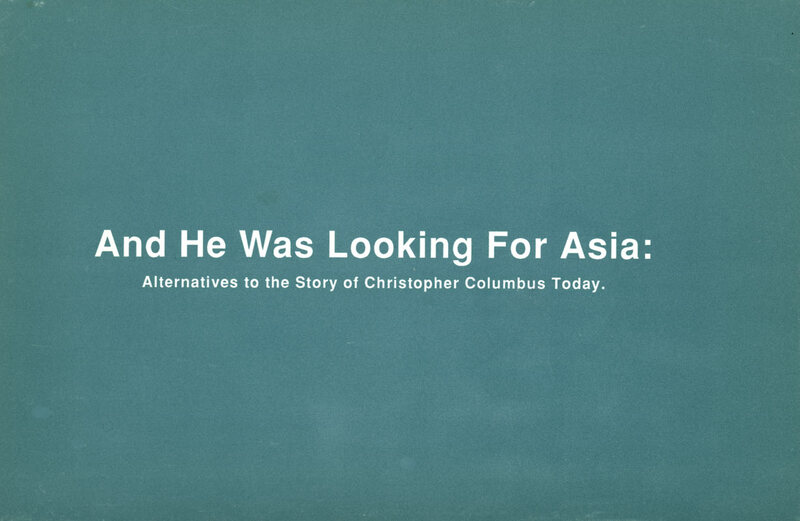 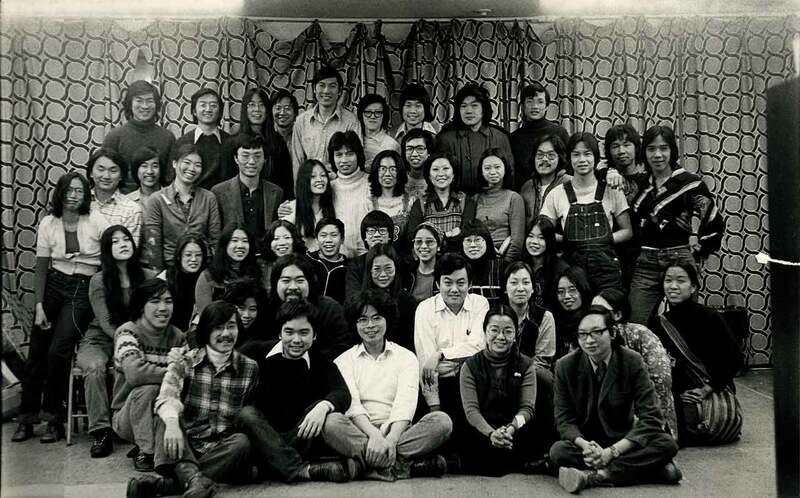 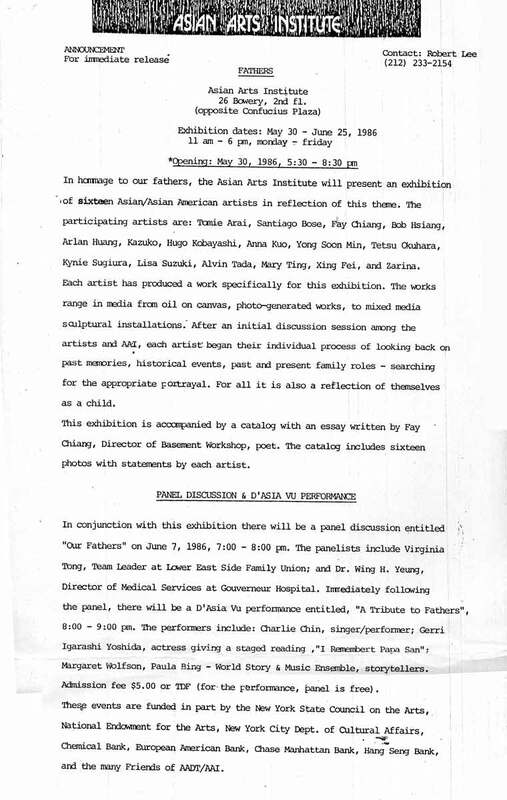 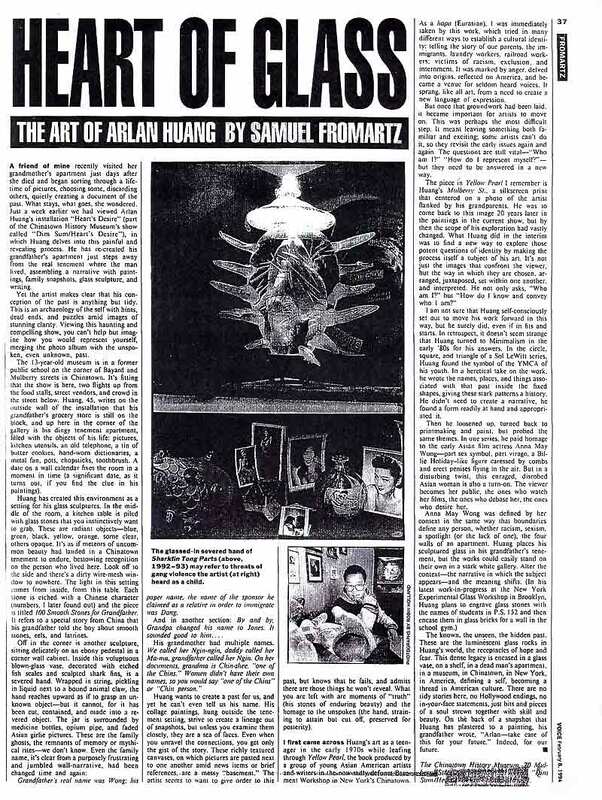 Exhibition postcard for "And He Was Looking For Asia: Alternative to the Story of Christopher Columbus Today" at Asian American Arts Centre, New York City, from Sep. 25-Oct. 29, 1992, with artists Mo Bahc, Joanna Osburn Big Feather, Willie Cole, Arlan Huang, Young K, Betty Lee, Jorge Tacla, Barbara Takenaga. 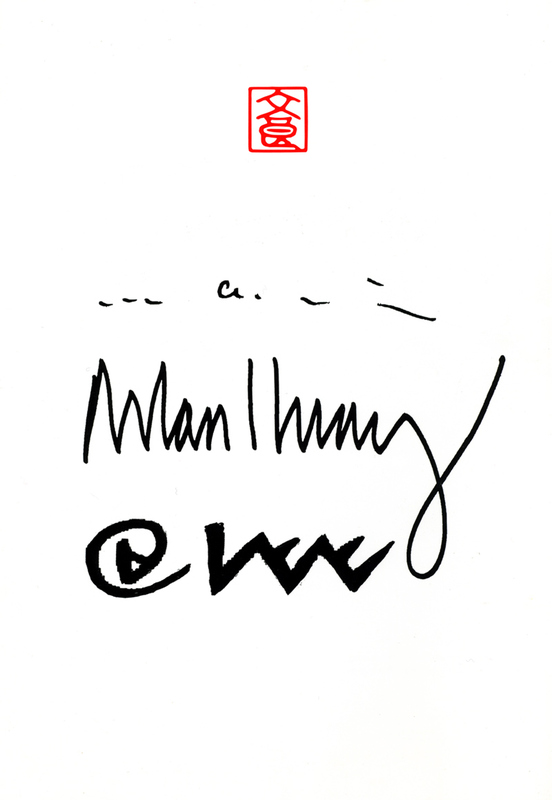 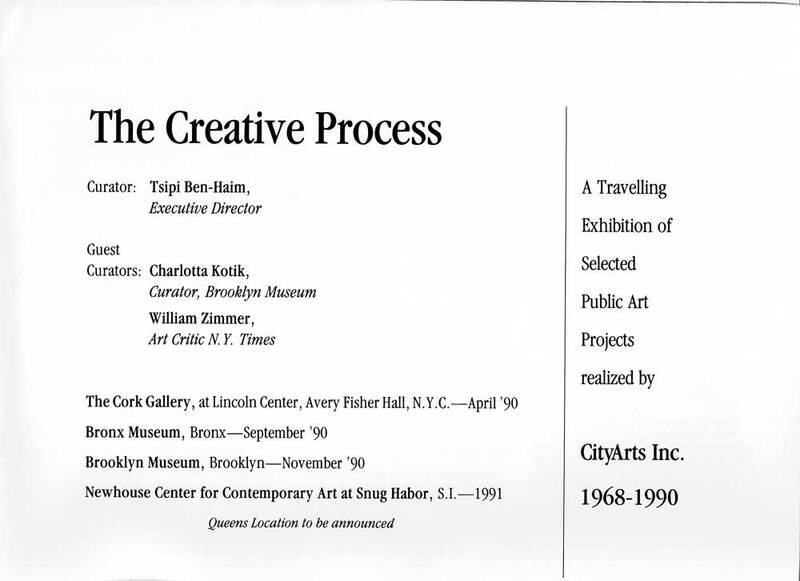 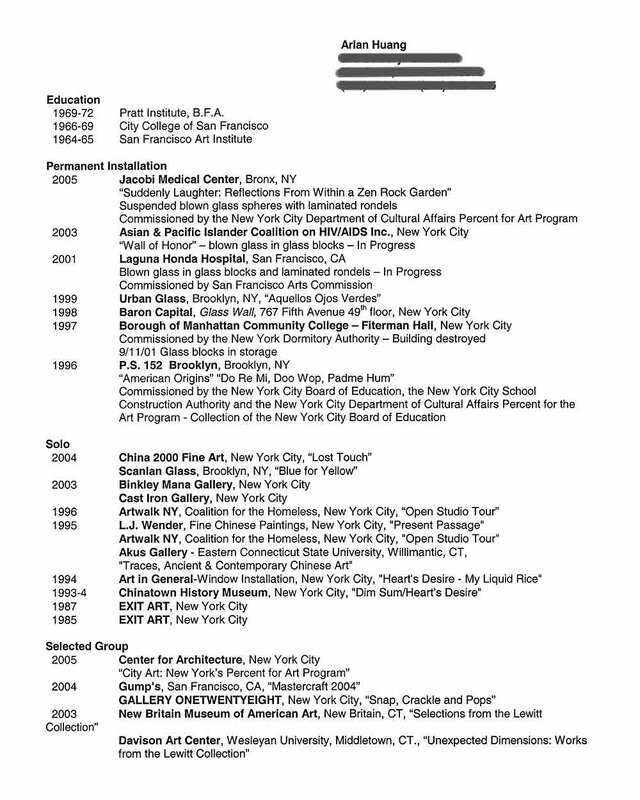 Exhibition brochure for "The Creative Process: A Traveling Exhibition of Selected Public Art Projects realized by CityArts Inc. 1968-1990" at various locations: The Cork Gallery (Apr 1990), Bronx Museum (Sep 1990), Brooklyn Museum (Nov 1990), and Newhouse Center for Contemporary Art at Snug Harbor (1991). 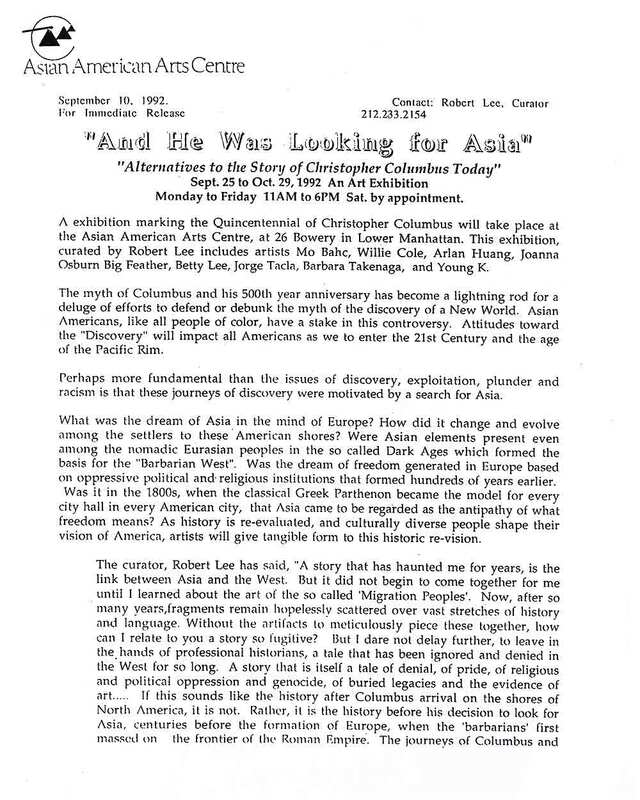 Exhibition postcard for "Arlan Huang & Colin Lee: Wet Paintings" at The Catherine Gallery, New York City, from Feb. 8-Mar. 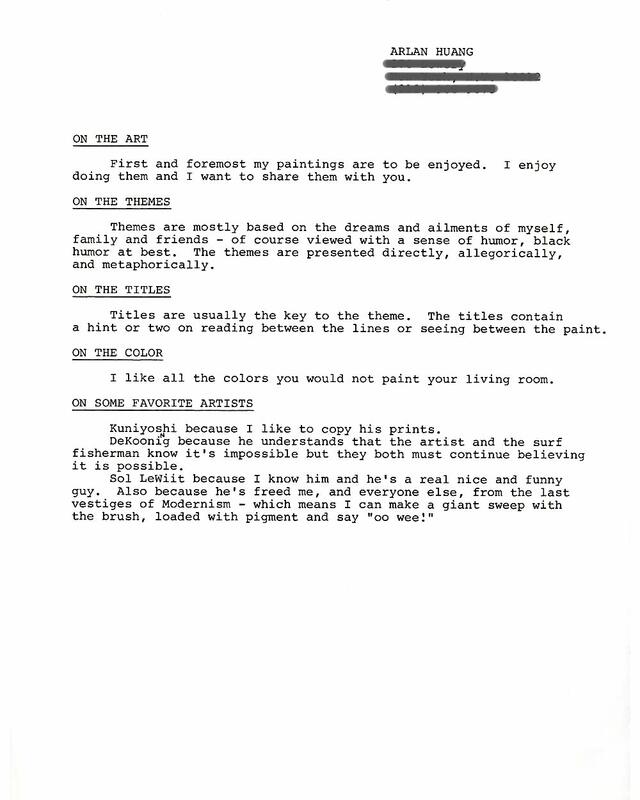 1, 1985. 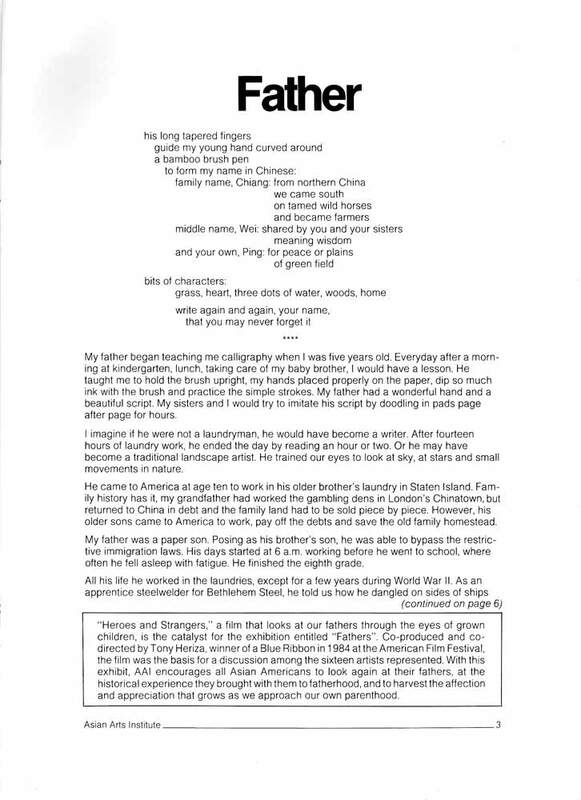 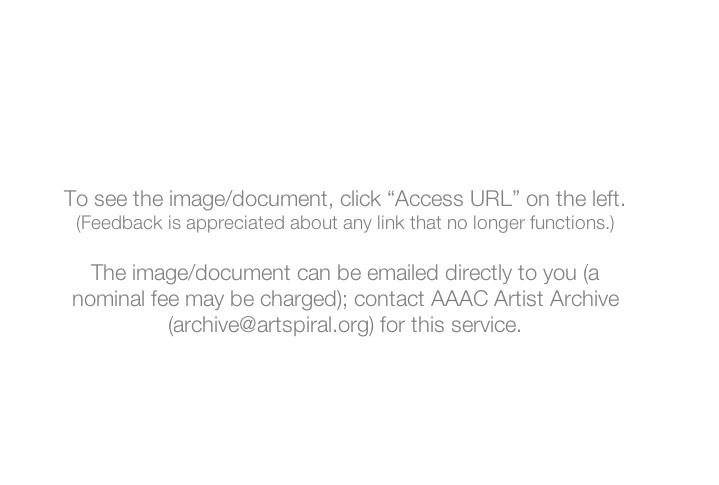 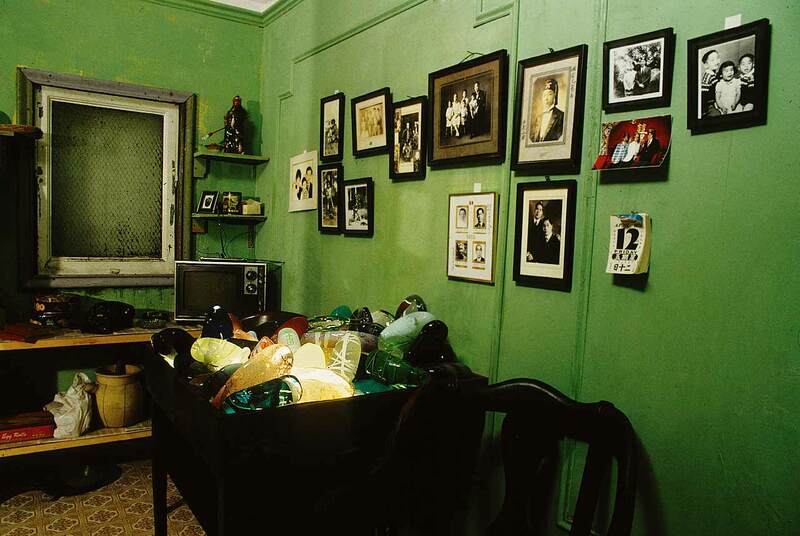 Transcription: "American Origins" at P.S. 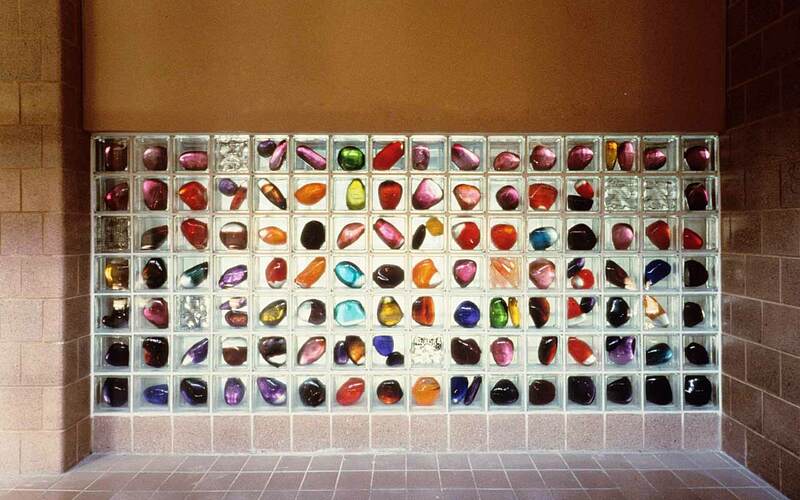 152, Brooklyn, completed 1996 by Arlan Huang. 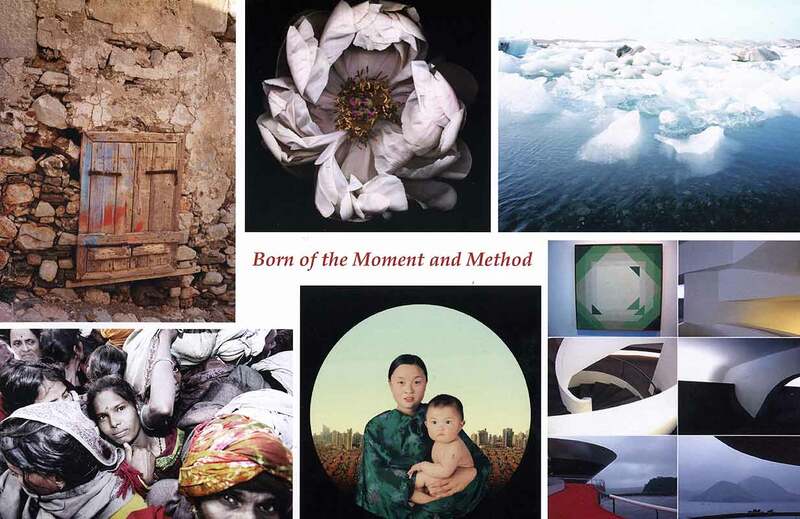 Exhibition postcard for "Born of the Movement and Method" at Walter Randel Gallery, New York City, from Dec. 12, 2008-Jan. 31, 2009. 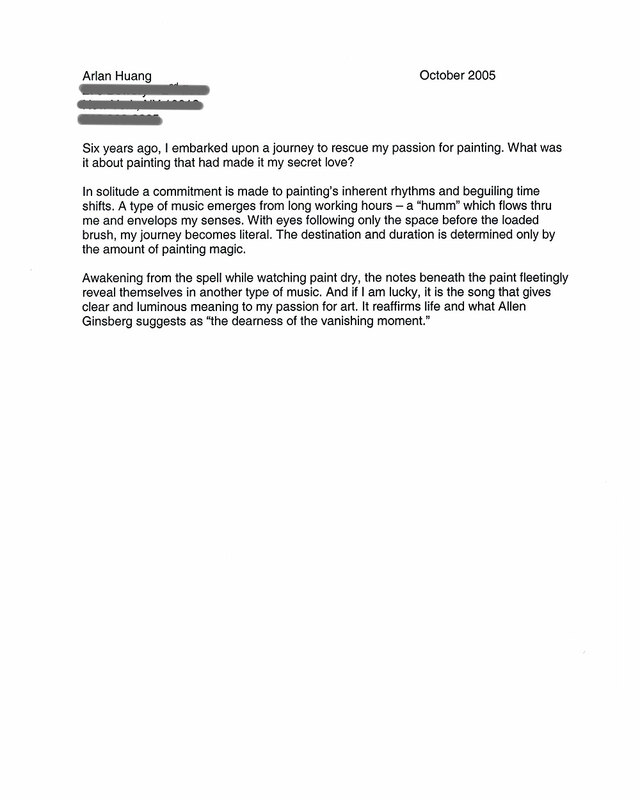 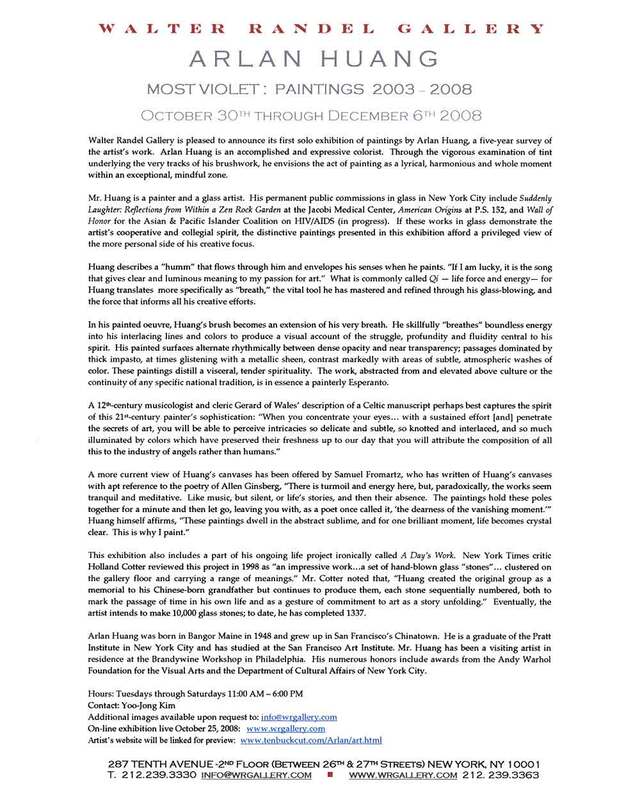 Exhibition press release for "Most Violet: Paintings 2003-2008" at Walter Randel Gallery, New York City, from Oct. 30-Dec. 6, 2008. 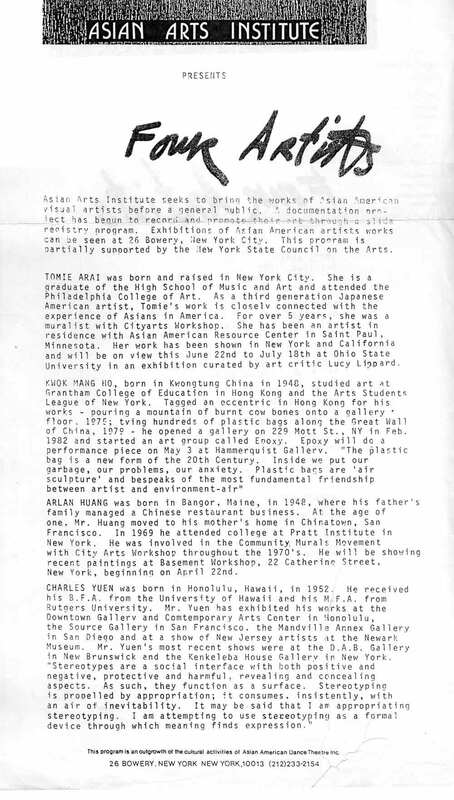 Text by Yoo-Jong, Walter Randel Gallery.